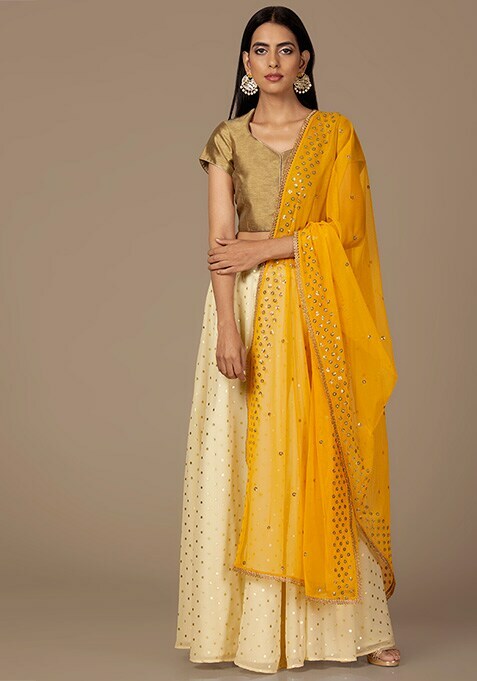 Dipped in bright mustard hue, this dupatta is a perfect interpretation of elegance and grace personified. Featuring sequin polka and thin gold lace trim. Work It: Pair it with a floor kissing, ivory Anarkali to look simply amazing.